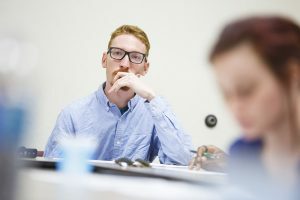 Beacon College complies with federal statutes requiring that students be enrolled in a degree-seeking program and maintain satisfactory academic progress in order to continue receiving financial aid.  For those admitted to Beacon for the first time, the academic records reviewed by the Admissions Office are considered sufficient for the student to apply for an initial financial aid package. To remain eligible, students must meet Satisfactory Progress Standards instituted by Beacon. The Financial Aid Office reviews student records at the end of each semester to assess compliance and to validate student eligibility for all financial aid, including federal student loans. 1. Grade Point Average (GPA) – Undergraduate students are expected to maintain a cumulative GPA of 2.0 at Beacon College. Recipients of the Florida Academic Scholarship must earn a 3.0 cumulative GPA at the end of each academic year to receive the scholarship the following year. A new student must have a minimum grade point average of 1.7 in the first 15 credit hours. 2. Pace of Progress (credit hours completed) – Undergraduates must successfully complete 67% of attempted coursework. Grades of F, I, W, WF, WP or NP are attempted courses, but are not counted as completed. Undergraduate students are expected to complete a degree program within 180 credit hours attempted, including transfer credits earned at other institutions. In general, full-time undergraduates should complete 24 credit hours each academic year, and part-time undergraduate students should complete at least 12 hours. A financial aid warning or suspension will result if a student is unable to maintain satisfactory progress. The first time a student fails to maintain satisfactory progress, the student will be placed on financial aid warning. A second infraction automatically suspends the student’s eligibility for financial aid unless and until the student files an appeal and that appeal is approved by the Financial Aid Office. These requirements are specified in the College Catalog. Consequently, there is no separate requirement to officially notify students of a change in their status, but we make a best effort to do so for those receiving any financial aid.